Open Sunday September 9, 1 – 3 PM – MLS#516508 – Sunsets are amazing from your balcony on this 1862 square foot furnished condo. Whether it is the amazing Eastern Shore sunsets, or the phenomenal, deep water fishing of the tangier Sound, you will find yourself needing this sanctuary of peace. You just can’t help yourself but sit back with friends and relax with some good conversation, laughs and watching the luxury boats sail in and out of the neighboring Somers Cove Marina. This small waterfront town is best known for its fresh seafood, especially its sweet blue crab. Imagine the crabs being caught that morning and on your table that evening for dinner. 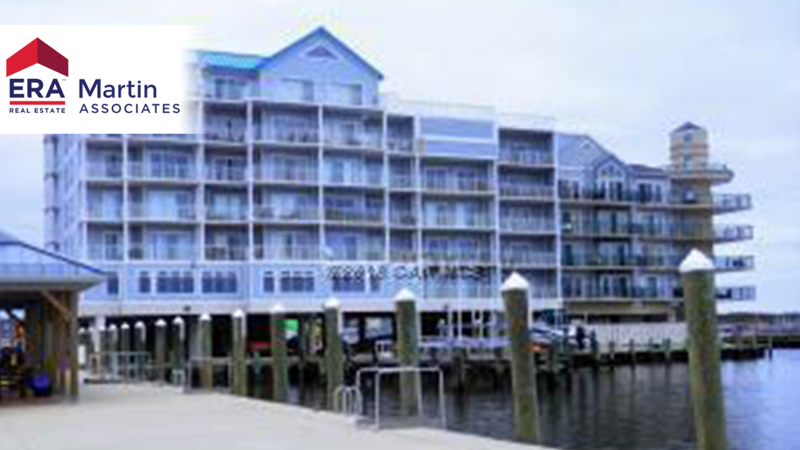 We also have several waterfront restaurants and quaint shops to fill anyone’s desires. Most furnishings remain with this luxury condo. Granite countertops, ceramic tile, stainless steel appliances, fire sprinkler system. Master bath has a large two shower head separate shower and a separate whirlpool tub. Wet bar with ice maker and wine chiller. Private balcony. Comes with elegant tray ceilings and crown molding throughout the unit. Rooftop pool. Internet, cable and insurance included in condo fees. Assigned unit owner parking under building. Well organized condo association with financial stability. Total building/painting done last year. Short 45 minute drive to Ocean City, MD oceanfront drive the opposite direction and head toward Chincoteague with the wild ponies and wild bird life reserve.